The ephemeral story format has rapidly transitioned from being Snapchat’s crown jewel to a common feature found on most social media platforms. Including WhatsApp. However, unlike pictures and videos sent to you through personal or group chats, media from WhatsApp statuses aren’t automatically saved to your phone’s gallery. How do you download a WhatsApp status photo or video? Read on to find out. Should You Download Someone’s WhatsApp Status? There are several scenarios where you might want to grab someone else’s WhatsApp status. It could be a meme you’d like to reshare. Or a scenic photograph you want to set as your phone’s wallpaper. These are both legitimate reasons to want to download a WhatsApp status. However, since WhatsApp doesn’t notify the other person when you download their status, and you’re not asking for permission beforehand, statuses featuring personal photographs or videos is crossing the line. Bear this in mind before downloading a WhatsApp status. Whenever you load a status on WhatsApp, it is temporarily stored in a hidden folder on Android. Since WhatsApp statuses have a 24-hour time limit, that directory is updated in realtime and the data is cleared as soon as its associated media expires. To access the files, first, you’ll need a file manager. Your phone might come preloaded with one, but if it doesn’t, File Manager + will do the job. Once installed, launch the app and head into the Main Storage. There, tap the View option present in the three-dot menu. Select the item that says Show Hidden Files. Now, go to WhatsApp > Media and you’ll find the .Statuses folder. 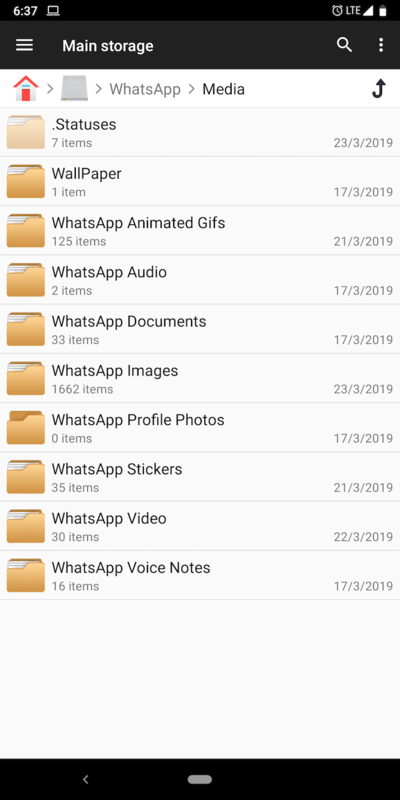 If you don’t want to navigate through a file manager for obtaining WhatsApp statuses, you can try a third-party app. There are numerous apps available on the Play Store for downloading WhatsApp statuses which have yet to expire. To begin, install Status Saver. While firing up the app the first time, you’ll be asked to grant the app permission to access storage. That’s it. You can now easily download media from WhatsApp statuses. 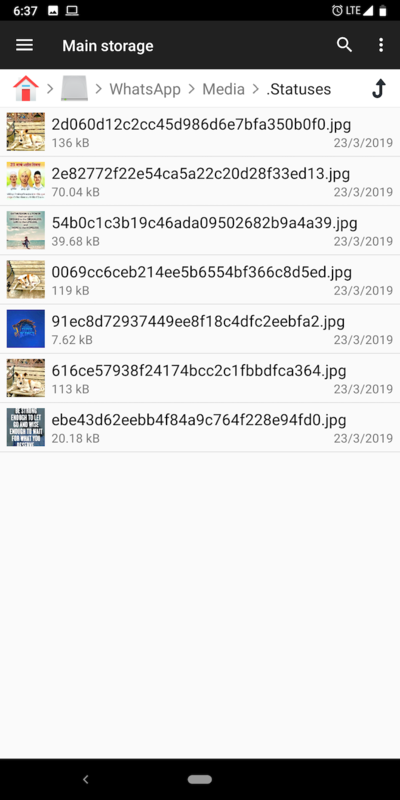 The final method for saving WhatsApp statuses on Android is to simply take a screenshot or record the screen while viewing the image or video. 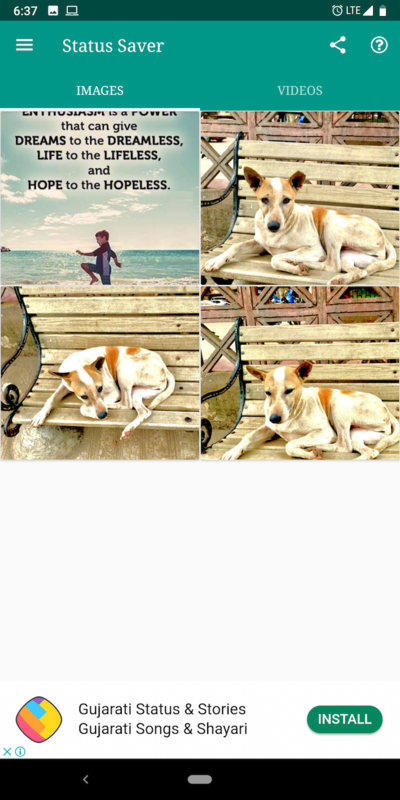 Wondering how to take screenshots on Android? We show you several methods to capture what’s on your screen. What’s the Best Way to Record Your Screen on Android? Need to record the screen on your Android phone or tablet? Here is exactly how to get it done. and hit the start button when you want to clip a video from someone’s WhatsApp status. Unlike Android, iOS users don’t have much choice other than to screenshot or record an active status on WhatsApp. On an iPhone X or later, you will have to press and hold the power button and then click the volume up button to grab a screenshot. The rest of the users will have to press and hold the top/side buttons and then immediately click the home key. For recording the screen, you can utilize the native tool too. To add it to the control center for quick access, go to Settings > Control Center > Customize Controls, and under More Controls, locate Screen Recording tap the green plus button. Now, fire up the video you’d like to download on WhatsApp. Pull up the control center, touch the screen recording button, and off you go. 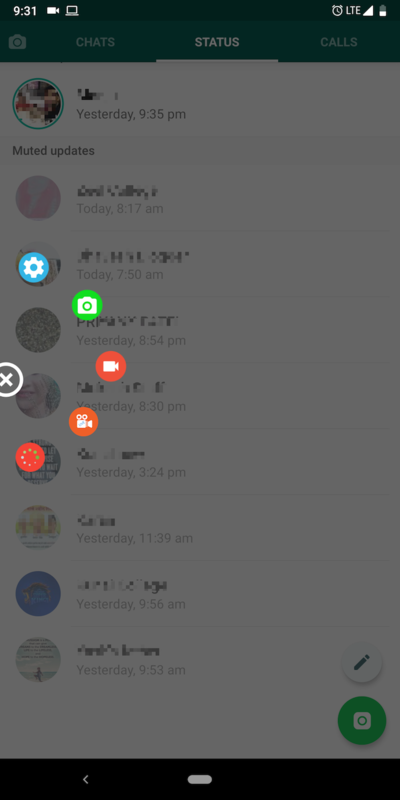 Statuses are available on WhatsApp’s web client and desktop apps as well. To download a status from one of these, you will need to take a screenshot or use a screen recording tool, since there are no direct third-party utilities for Windows and Mac PCs. To capture a specific screen portion on your Mac, you can use the Cmd + Shift + 4 combination. For screen recording, you need to launch QuickTime Player, and under the File menu, click New Screen Recording. Now, open the WhatsApp status and hit the Record button on the QuickTime Player popup. Drag your mouse over the video frame you’d like to record or go full-screen and get the whole clip in landscape mode. Once it’s finished, you can stop the recording from QuickTime Player’s menu bar options. Similarly, on a Windows PC, you can execute the Windows + Shift + S shortcut for partial screenshots. Windows also has an inbuilt utility for recording your computer’s screen. However, unlike macOS, you cannot select a specific portion. 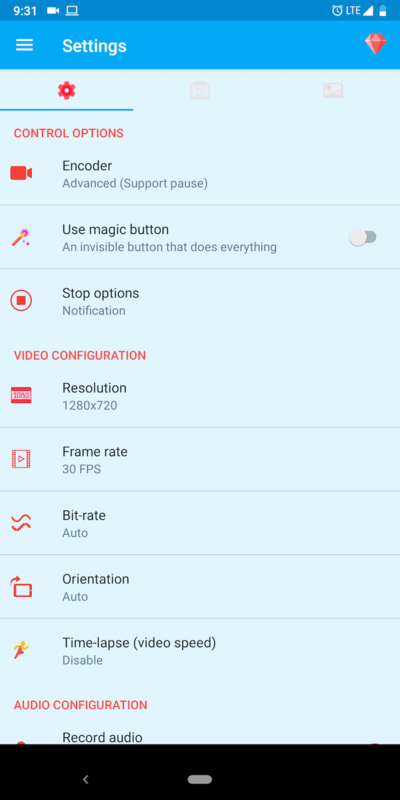 You will have to record it in full-screen landscape orientation. To reveal the screencasting menu, press the Windows key + G and hit Record. 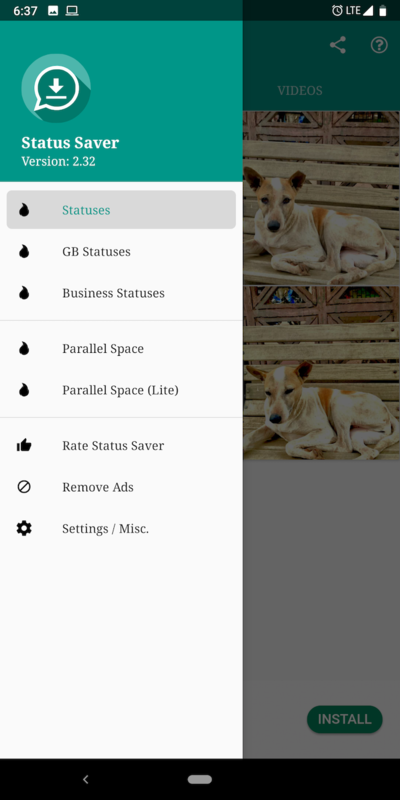 With these techniques, you should be now able to download someone else’s WhatsApp statuses. Just remember to bear in mind that people might not want you to do so. Explore more about: Download Management, WhatsApp.